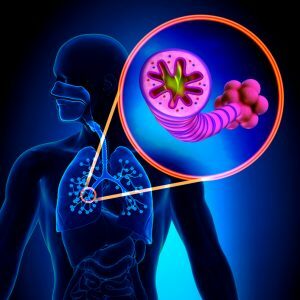 Fifteen million people in the United States have been diagnosed with COPD and data suggests that at least half of those in the very early stage of the disease are unaware that they have it. Patients and caregivers alike need to know the symptoms, stages and impact of COPD, which was the third leading cause of death in 2011. COPD is a progressive disease, and since there is no cure as yet, lifestyle changes and home care support and assistance are the best treatment options. This is Part Two of our COPD For Caregivers series. COPD develops slowly but progressively, and symptoms often worsen over time. As a loved one with COPD moves from one stage of the disease to the next, their ability to perform routine activities declines. Severe COPD can impact the ability to perform simple activities like walking, cooking, or taking care of oneself. COPD patients frequently experience complications like respiratory infections, heart problems, high blood pressure, lung cancer, and depression. These additional issues can make caring for a loved one with COPD even more difficult. While COPD has no cure yet, and there is no way to reverse the damage to the airways and lungs, lifestyle changes can help. And there are some treatments that ameliorate the impact of the disease on quality of life. Keeping the lungs as healthy as possible involves, first and foremost, quitting smoking to stop further damage to the lungs. Other strategies include eating well to provide the extra energy that breathing can require of some patients, breathing clean air indoors and out whenever possible, and getting the flu vaccine to avoid stressing the lungs. Medications to ease breathing include bronchodilators and steroids. In later stages of the disease, breathing supplemental oxygen can supply what the lungs are unable to process themselves for the health of the rest of the body. A more serious intervention is lung reduction surgery, where the damaged portion of the lung is removed, to give the healthy remnant a better chance to function properly without supporting dead weight. And in extreme cases, a lung transplant can replace a lung entirely, although the complications of heart disease and, commonly, damage from many years of smoking, make these rare. Caregivers and their loved ones with COPD are often facing a difficult prospect of progressively reduced energy, limited capacity, frightening shortness of breath, and a host of accompanying illnesses that simply add insult to injury. The American Lung Association offers resources like the Lung Connection Community which offers a way for caregivers and patients to connect with one another globally online, and the Better Breathers Clubs which meet in local hospitals to share ways to better cope with COPD while getting the support of others who share in your struggles. They also share a MyCOPD Action Plan / Management Plan on their website. Finding support groups, and learning new strategies, will allow you and your loved one to live the best life possible. In addition, resources like Casa Companion Homecare Solutions, a prominent home care provider in San Diego, which offers you and your loved one with COPD the personal care, daily care, and overnight care the assistance that you both need.